What was unthinkable 20 years ago has happened in 2014. In 1994 it seemed impossible for the party of Nelson Mandela to be defeated and any split in the tripartite alliance seemed far-fetched. The African National Congress- (ANC-) led alliance is now hanging together by a thread, with all three of its components facing declining legitimacy and support and, in the case of the Congress of South African Trade Unions (Cosatu), possible implosion. In 1994 almost every person expected the ANC to win the elections and everyone saw Cosatu as a powerful partner, whose influence had secured the insertion of the Reconstruction and Development Programme (RDP) as a key element of the ANC election platform. The South African Communist Party (SACP) was a widely admired member of this alliance, based on the heroic record of some of its cadres and respect for strategic and theoretical input that had played a significant role in many important choices taken by the ANC. The alliance carried weight. The ANC was led by a man of impeccable integrity who had emerged from prison and immediately engaged the apartheid regime, the ANC, and organisations within and beyond the tripartite alliance in a process aimed at ending bloodshed and building peace in a democratic order. Mandela, the man who had led MK in taking up arms in 1961, understood that ending violence would benefit everyone. He had grasped the opportunity even while in prison, risking his own reputation, to ensure that talks with “the other side” were initiated. For successive elections the ANC remained electorally unchallenged. For some time it also occupied the moral high ground, based on its members sacrificing their lives and enduring significant hardships to give birth to the democracy of 1994. The ANC was part of folklore; people in villages grew up hearing stories and songs celebrating its history and its martyrs, many of them from just such villages. Some analysts saw dangers in the electoral strength of an ANC with no prospect of an opposition party to challenge it. Other parties were either miniscule in their support base or, in the case of the Democratic Alliance (DA), seen by many black people as tarnished by elements of its record during the apartheid period. It was also often understood to be positioning itself as the prime defender of minority privileges rather than committing itself to non-racialism. Its free market policies were widely interpreted to be unsympathetic to transformation and a development agenda. Now this ANC hegemony is under threat, just as the standing of the SACP is in tatters amongst many of its former supporters. Cosatu is close to implosion after internal battles between those attached to the ANC leadership and those withdrawing their support. As a campaigning organisation it is paralysed. The broader reason for the weakening of the ANC and its allied partners is related to the opportunities for accumulation of wealth that have opened up through access to positions and resources in government. Many who were brave and impeccable cadres, who sought nothing for themselves in the time of danger, have succumbed to the temptation to accumulate wealth, and now jostle for high positions. Political life has become depoliticised as comrades battle amongst themselves for influence that is linked to resources used to enrich individuals and those forming their support base. [Jacob] Zuma is an extreme example of a wider phenomenon whose operation can be seen at every level of government and the organisation. Not only has Zuma relied on patronage networks to secure the presidency, but he has also engaged in or benefited from practices that are contrary to law and the constitution. A great deal of Zuma’s presidency is now devoted to evading questioning in both court and parliament on ways in which he has been enriched. Political life has been impoverished and political institutions and organisations have been denuded of political content as people take sides defending or attacking Zuma, or lesser versions of Zuma at lower levels of the organisation and government, sometimes using violence and death. The SACP and Cosatu initially promoted Zuma’s rise to leadership on the fictitious claim that he represented the left. While it has become clear that the macroeconomic policies pursued under Zuma do not differ markedly from those under [Thabo] Mbeki, most of the energy of the SACP and those currently dominant in Cosatu are devoted, instead, to defending Zuma’s security of tenure through evading accountability for enrichment. In this context, opposition parties have recently been more skilful than in the past at challenging the failure of accountability, using filibustering and other tactics. To counter this, the ANC has twice brought the riot police into parliament; as an institution for public debate it is now at risk. There are no ideas emerging from either the ANC or the opposition parties to advance a new initiative. We, too, need to think beyond powerful individual leaders and indeed, look also to ourselves in the various institutions, associations and organisations where we are located in order to use our power to find ways of reversing the devaluation of democratic power and recover, rebuild and enhance the hard-won rights we so badly need to build our future. 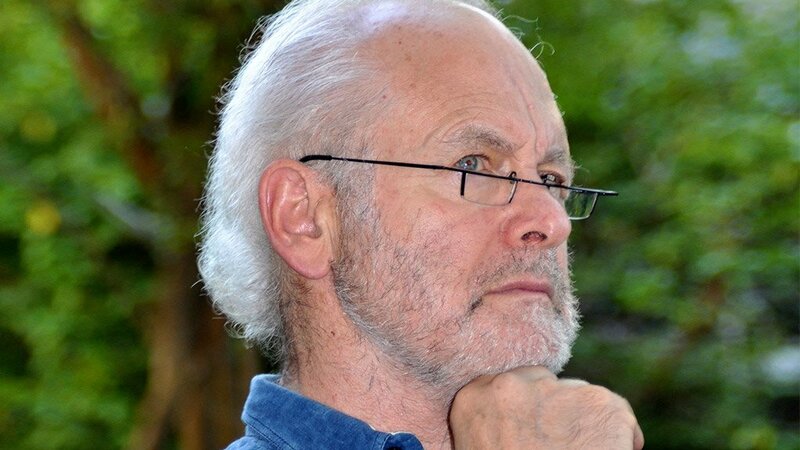 Professor Raymond Suttner, attached to Rhodes University and UNISA, is an analyst on current political questions and leadership issues. He writes a regular column and is interviewed weekly on Creamer Media’s Polity.org.za. Suttner is a former political prisoner and was in the leadership of the ANC-led alliance in the 1990s. His book Recovering democracy will be published by Jacana Media early in 2015. He blogs at raymondsuttner.com. His twitter handle is @raymondsuttner.